CCM JetSpeed FT370 Hockey Shin Guards - Senior is rated 2.0 out of 5 by 4. The all new Jetspeed FT370 shin guards are an affordable, lightweight hockey shin guards with ample protection features. These shin guards are constructed with a lightweight shell design and hinge system to improve mobility and protection. The calf guard is made from molded PE and has an adjustable calf strap. The calf guard on the Jetspeed FT370 shin guards offers lightweight protection and allows for a better fit. The vented knee cap and anatomical shin cap also feed into the lightweight design of these shin guards. For the thigh protection, CCM added a PE foam pad for addition protection. Attaching the Jetspeed FT370 shin guards will be a breeze with CCM’s upper lock strap and new adjustable calf strap. 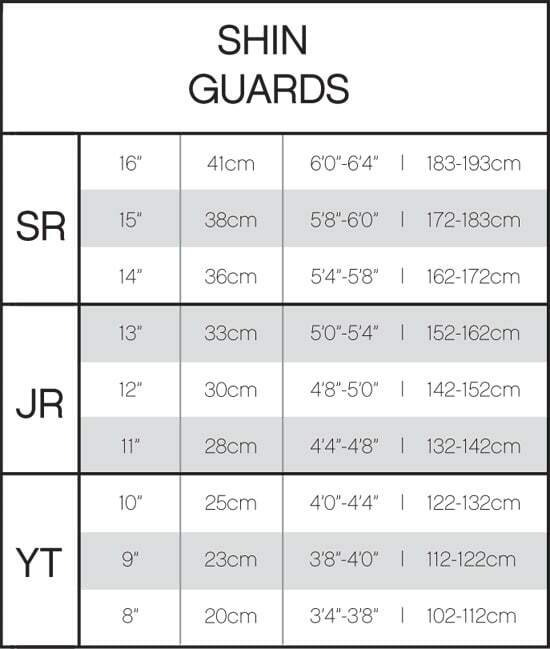 You’ll be able to get a customized and snug fit no matter your calf size. When it comes to the liner, CCM included PE foam and a removable liner for easy maintenance and a good level of protection. Overall the Jetspeed FT370 shin guards provide good protection and comfort. Calf Wrap: Molded PE Protective material that wraps around the back of the calf. Liner: PE foam Material that lines the interior of the product. Rated 1 out of 5 by LROC from Don’t last Bought these for my son 14u because he needed a more protective shin guard. He really liked the fit But after a couple months of use the knee cap cracked. Now we’re looking for new shins half way into the season. The price is nice but if you play Or practice more than once a week you should look at something else. Rated 2 out of 5 by Arnaud from Not long lasting! I bought them 2 months ago, at first I liked them alot... but after 2 months, the knee cap already broke. Also, I have to admit, I felt every single shot I blocked. Should go for a bit more expensive shin guards! Rated 1 out of 5 by Hockeybeast51 from Both Kneecaps cracked My son is 14u. 5’8” 128lbs. Both knee caps are broke just over 2 months in. My son is not a tank. These are garbage. Pure hockey is awesome, no issues with the return. We are upgrading to something else. Rated 4 out of 5 by jkw80 from No complaints I've only used them a few times, but they stay in place without tape and have provided solid protection.